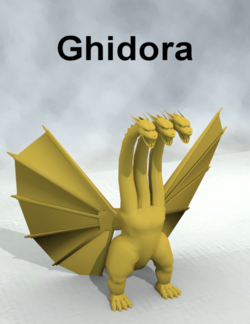 Ghidora is a figure of a character in the Godzilla world. Based upon its name it might be best to treat as non-commerical usage. It was modeled by Scott Ayers.